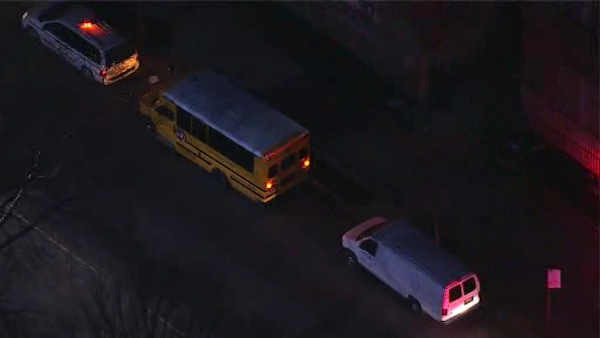 EAST NEW YORK, Brooklyn (WABC) -- A pedestrian was struck by a school bus Tuesday morning in the East New York section of Brooklyn. The accident happened at the intersection of Pennsylvania Avenue and Glenmore Avenue just before 6 a.m. The victim was taken to Brookdale University Hospital with injuries that are described as non life-threatening. No students were on the bus, and there are no other reported injuries.